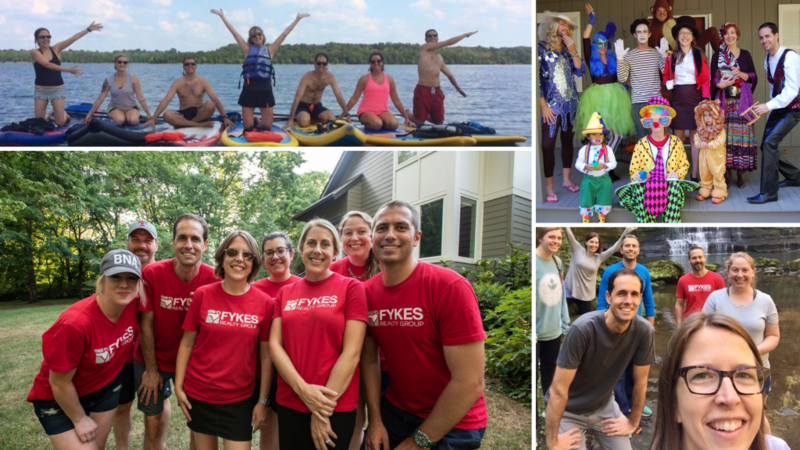 The FYKES Realty Group is growing! We are seeking talented, intelligent and motivated individuals to join our team. If you are looking for an exciting career in real estate then check out our current opportunities and apply today! The ideal candidate is a dynamic individual who will begin as a sales agent on our team and after knocking their sales goals out of the park and exceeding all of their metrics, they will transition into the Director of Sales role. This is a leadership position with huge growth opportunity. The Future Director of Sales is attracted to leadership and wants more. This person gets satisfaction from achieving results through empowering and inspiring other big thinkers. This person enjoys tracking numbers, maintaining spreadsheets, and holding others accountable for their contacts, agreements, closings and profit. The Director of Sales motivates the team daily by leading with energy during script practice and daily lead generation. This person coordinates with the Director of Operations to create a framework of daily/weekly lead generation activities based on an annual marketing calendar. The Director of Sales runs an efficient & motivational weekly sales meeting that may include numbers tracking, contests, motivational speaking/videos, and/or sales and systems training. This person demonstrates the knowledge, attitudes and habits of a high-achieving agent committed to daily lead generation. This person demonstrates a learning-based personality by regularly attending classes, teaching and providing learning opportunities for the sales team. Click HERE for more information. The ideal candidate is someone who loves system building and maintaining organization. They are driven by doing things the right way and have experience supporting an executive. Duties are varied and will change according to season and needs of the business. This person must be flexible and willing to do even the smallest thing necessary to make owner’s life run smoothly. Hours are somewhat flexible, but mostly during business hours. Email us if you or someone you know is interested in this position! The ideal person to fill this role will be a self-starter who takes initiative, cares about the presentation and has a high standard for the aesthetics. They are deeply committed to completing tasks the right way with a high degree of quality, attention to detail, and consistent communication. They balance the client experience and a heavy work load through efficient and quick work. They, too, have a burning desire is to support a team to greater and greater success, growing his/her own skills and developing into a supportive leader within the team. Customer service experience, and having worked in a fast-paced office environment is required. Our team has openings on both the buyer and listing teams. We are looking for people that can rise to the challenge, provide excellent customer service, have market knowledge unmatched by others, and are driven to reach their goals. If you strive to be the very best at what you do and you would enjoy a challenging work environment that will provide multiple avenues of advancement and revenue streams, then we have an incredible opportunity for you. A real estate sales license is preferred but not required for consideration.